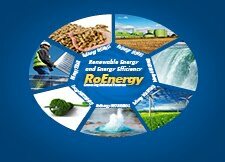 Just ended 4th International Renewable Energy Fair in Croatia at Varaždin Arena from city of Varaždin. This regional fair event, specializing in new technologies, equipment and services in the field of renewable energy is one of the most importend in the country. The fair is conceived of a platform which should promote and exchange experience and knowledge in the field of renewable energy sources and which brings together companies, international institutions and numerous professionals from this area.